What Inventions Come from Science Fiction? Science fiction came into being in the wintry summer of 1816, when the aftereffects of the 1815 eruption of Mount Tambora in what is now Indonesia lowered temperatures around the globe. Mary Shelley wrote the first science fiction story in the tale of "Frankenstein; or, the Modern Prometheus" while waiting out unusually strong storms. Her book included ideas that are no longer fiction today: the surgical implant of human parts from one person to another. Several science-fiction ideas have turned into actual items that people can use. Jules Verne spoke of rockets that would take men to the moon, and also wrote about submarine-like vessels, which inspired the submarine's creator to make it. Arthur C. Clarke theorized about geostationary satellite orbits long before they existed, and Isaac Asimov produced ideas about robots in the 1940s and '50s. Shelley isn't the only science fiction writer to predict ideas and inventions that now exist. Jules Verne shared stories of rockets that would take men to the moon nearly 100 years before those rocket launches actually happened. He also wrote about submarines, and H.G. Wells wrote about email and lasers long before they existed. In the years preceding and just after World War II, many classic science fiction authors such as Ray Bradbury, Robert Heinlein, Isaac Asimov and Arthur C. Clarke theorized about satellites, robots and even more in science fiction magazines of the times, long before those things existed. One such 1940s writer, Cleve Cartmill, wrote about the atom bomb and along with "Astounding Science Fiction" magazine editor John F. Campbell, received visits from the FBI over the article. When "Star Trek" first aired on television in 1966, it brought with it new and radical ideas. Not only was it built on the prospect of a unified Federation, where all sentient beings are equal regardless of how they look, but it also showed the first black-white kiss on U.S. television, between Lieutenant Uhura and Captain Kirk, sparking outrage among many who disagreed with the show's views. But it also showed amazing devices, many of which became a reality when inventors used the devices on the show as models for real-life products. The show had computer tablets (tablet computers are now very common), ship computers that you could speak to (voice recognition and home digital assistants), small cards that transferred data to the ship's computer (similar to the 3.5-inch disks used before flash drives and downloads), matter-antimatter power generation and even replicators – akin to 3-D printers – all theories or ideas that exist today. But "Star Trek" is best known for its communicators that became the inspiration for the mobile phone, invented in 1973. Though the idea of teleportation existed years before "Star Trek" came into being, Gene Roddenberry made it part of mainstream thinking, so much so that scientists built a quantum device that succeeded in teleporting a particle from the Earth to a satellite in space, according to a 2017 article in "Forbes" magazine, though the original discovery that "you can move information about one state to another location," occurred 24 years before in 1993 and was posted in a scientific paper by the team of scientists who discovered it. Many colleges and universities now have courses and symposiums that bring together writers, inventors, scientists and artists to talk about what the technological future holds for humankind. Writers, authors, inventors and scientists predict future inventions because these people often exist in the world of "what-ifs?" They naturally open their mind to possibilities. If, as some scientists posit, there exists a quantum field, from which everything arises, then creative types might plug right into it. This would allow the transference of ideas from this collective unconsciousness, as described by Carl Jung in his various works, that all can share in. If the idea that time exists simultaneously at once is correct, as is also proposed by many scientists, then certain predisposed people can access information from this sphere and bring it forth for further exploration. This could explain why two people in different parts of the world, and unrelated to each other can bring forth similar ideas and theories. All of which causes another problem of sorts, the old question of whether the egg preceded the chicken or vice versa. 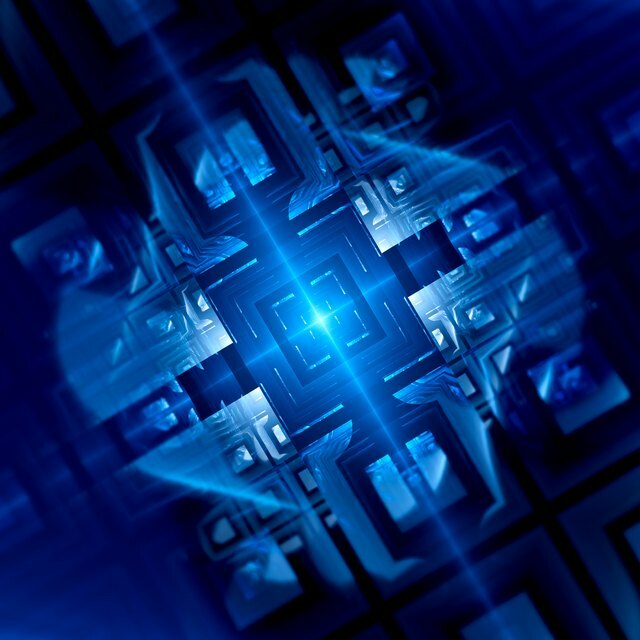 Forbes: First Particle Successfully Quantum-Teleported into Space - Are Transporters Next? Why is the Discovery of Gravitational Waves Important? Brenner, Laurie. "What Inventions Come from Science Fiction?" Sciencing, https://sciencing.com/what-inventions-come-from-science-fiction-13710342.html. 29 March 2018.